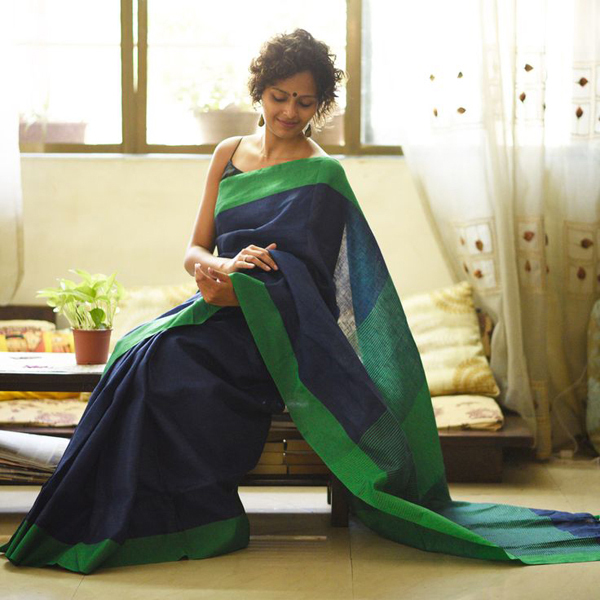 If you love the warmth and crisp texture of cotton sarees, get ready to find out the most alluring and beautiful range of these evergreen women staples. Since Bollywood is what we look up to for every fashion doze and inspiration, check out the stunning traditional sarees draped by some of the most gorgeous ladies of tinsel town and make them work for your personal style to call it a statement. Hurry up, girls!!! Whether you are on your work mode or living your life freely, cotton sarees are forever best to elate your soul and mood instantly. The best thing about the cotton fabric is that it goes with every season and occasion, pick what suits your personal style and fashion statement to make heads turn around. Comes in a range of charming hues and striking prints, these ethnic women wears are designed to match the fashion needs and style statement of every individual. It’s time that you sneak into the latest exclusive range of online sarees available at IndiaRush which are Bollywood inspired and engrossed with latest fashion trends to give you the best ethnic wear collection of the season. The bright combination of pink and orange looked beautiful on dusky skin and flawless features of Konkona Sen. She paired matching chequered blouse and opt for ‘No’ jewellery look to keep the ethnicity and elegance of the attire alive. Isn’t the perfect outfit for special office days??? It’s not the first time we came across some gorgeous saree worn by Mini Mathur but we always have bunch of complements for here outstanding choice of handloom and ravishing cotton sarees. The multi printed saree with plain white blouse is the perfect combination to exhibit your bold and beautiful personality for any event. Rocking in designer grey and white hued saree, Tisca Chopra looked royalty and extremely beautiful. She chose plain black sleeveless blouse to complement her outfit and made sure that she should be in the spotlight of the event with her fabulous choice of matching neck piece and clutch. The beauty always goes towards cotton when it’s big Durga Puja night. She always opt simple, elegant sarees for these festival occasions and never fails to impress us with her incredible choice and fashion sense. Discover online sarees inspired by her looks and start your shopping for upcoming festival season. The most acclaimed and eye-catching fashion expert of B-town slays the world with her dressing choices and fashion calls. That’s why; Sonam Kapoor is the first choice of budding fashion enthusiasts. We love her and simply love everything she carries with her. 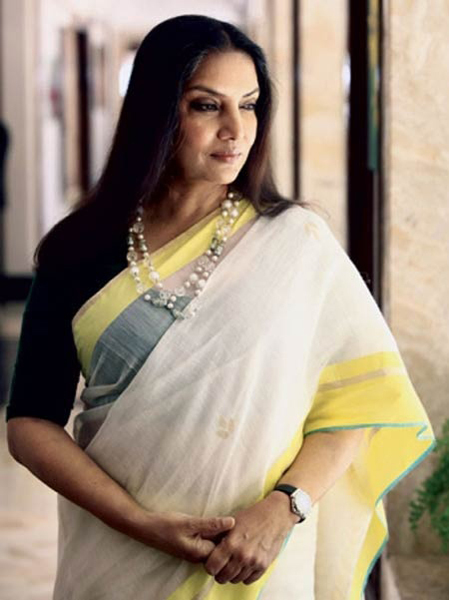 If you are looking for that exceptionally raw and rustic appeal, catch with this gorgeous still of Shabana Azmi and treat your eyes.